Walnut Creek Roofing Company was established in 1952. Walnut Creek Roofing, Inc. was incorporated in 1981. Currently we are focusing on roof inspections and roof repairs. If you need a full replacement we are happy to refer you to other Roofing Companies. WCR carries General Liability Insurance for Your Protection and Ours. My name is Jason, I am the President-Owner of WCR since 2006. 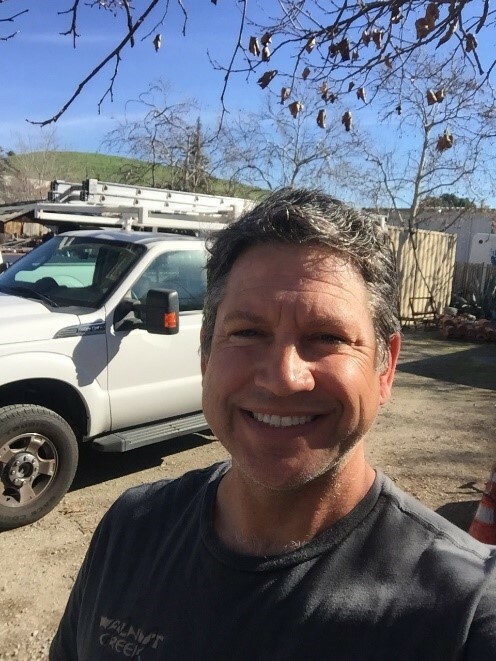 I started in the Roofing Industry in 1996, working in Distribution. In 2000 I went to work for some Roofing Manufacturers. I worked as a Sales Rep and Technical Trainer. Mainly in N. Calif, and also throughout the USA, training Roofers and Distribution how to install the products the Manufacturers were selling. I continue to educate myself in the roofing industry by attending various shows and training events put on by the Manufacturers. I network with many of the other Roofers in the Area, “As Iron Sharpens Iron”. These inspection reports will be email to you. These reports includes a few pictures, the condition of the roof, repairs if needed and the serviceable life. We are not currently doing full replacements, but since we network with other Roofers in the area we can give you an approximate cost for replacement if needed. This is different than the real estate inspections. The report is hand written and handed to you the same day (no photos are included). This is helpful to homeowner that want to know the condition and how much life is left in your roof. Remember when you pay for my roof inspection I am not trying to sell you anything else. I will tell you the truth about what is best. We will give you an assessment of your roof and give you some options. Some of these might be to contact another roofer for a full replacement, or a roofer that we feel can better serve you. We want to give you the best options, and that just might not be us at the time. We start out every repair with a Homeowner Roof Inspection (fee based). If we do the repair work for you the same day we will waive the inspection fee and only charge for the repair work. Repair leaks, cleaning off roofs, installing new flashings, replacing damaged shingles and Tiles. We work on most roofs: Asphalt Shingles, Wood Shakes, Concrete Tiles, and Tar & Gravel roofs. We install “Solatube” Sun Tunnels. We replace skylights, the Bubble type and Velux. We can install new ones but you may need to hire others to do the inside work if needed. We service the areas around: Martinez down I-680 to San Ramon, out Hwy-24 Lafayette into Oakland and up the I-80 to Hercules and back out Hwy-4 to Martinez. When calling us please call from the phone number that’s best to reach you. Leave us your name, phone number, address of roof you are calling about, and how you heard about us. At times we do receive more calls than we can call back in a timely manner, we do apologize. We ask for your address so we can look at the roof on google maps before calling you back. This way we can determine what is best for you before we call back. Always verify any Contractors License at cslb.ca.gov, get proof of Insurances and make sure everything thing is in writing.